Got hawk eyes? How about owl eyes? 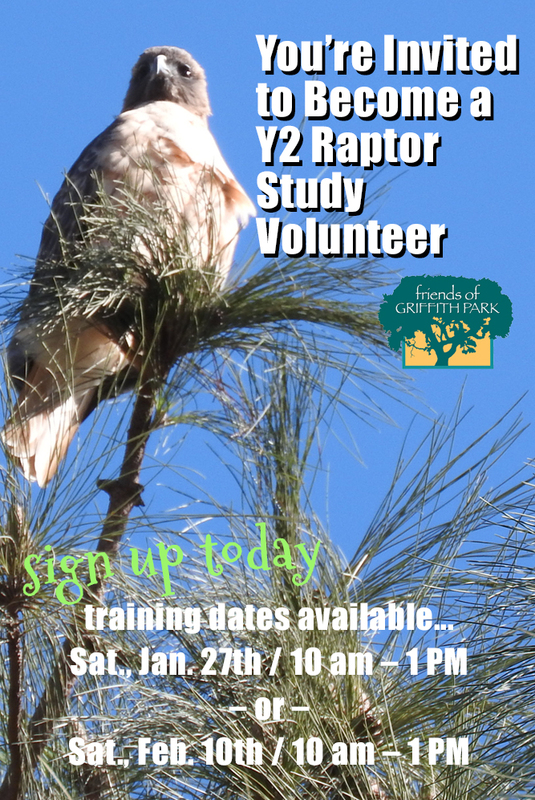 The Friends of Griffith Park is hosting its second Raptor Study that will help biologists understand better urban winged predators. Volunteers will monitor nests in Griffith Park as well as the surrounding areas including the Pasadena/Arroyo Seco area and the central Santa Monica Mtns./San Fernando Valley west of the 405 Fwy., and the Sepulveda Basin. The Ranger House shares a very large parking lot with the Friendship Auditorium, at the parking lot’s northeast corner.